A nice place to start is the LGBT News Magazine, In The Life, which you may quickly be enthralled with. It was on public television for 20 years. 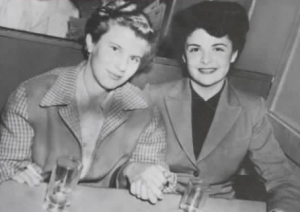 The two gals, smoking, drinking and holding hands as shown on Lillian Faderman’s book cover.